but thought, "It doesn't hurt to try." The cost to make a stick of deodorant? Maybe 25 cents - ish. I went ahead and took that advise. it doesn't take as much as store bought deodorant. 1-2 swipes does the job. You simply don't smell anything. Also, it washes away better. Most of the recipes I found call for tea-tree oil as it is an antiseptic. Being sensitive to tea-tree, I used lavender. Men could use pine or cedar, etc. Mix it well and press into deodorant container. Let set 2-3 days before using. I don't see myself ever buying store-bought deodorant again. Hmmmm I might try this! Thank you for this recipe! Bergamot sounds great-I have a special fondness to Melissa right now and wonder if it might also double as insect repellent lol Again, many thanks! Great idea, I'm going to pick up the supplies I don't have on our next shopping trip and give it a try. Interesting and practical. Gorges Grouse linked this for all of his readers to see. Thank you for stopping by. And thank you G.G. for the posting. Oh good. We have been in triple digits for the past week or so & guess what I have been using:) Finally cooled off a little - great relief. What a lovely recipe; love the coconut oil. I don't have these ingredients on hand, but want to try this homemade deodorant, as I am being very diligent about distancing myself away from all chemicals whenever possible, but have a question: did the deodorant become crumbly once applied, and shed? At first, yes it did crumble, because I used 'several' swipes. I'm sure I was thinking, "I don't know if this will work so use extra." It is very efficient and really does only require 1-2 swipes which is a little bit difficult to get used to, but that's all it takes to do the job. Once I learned to trust that it worked (1-2 swipes,) there was no more shedding. Okay, this is a success. My hubby just ran out and ordered more. He said "please use the same recipe" as before as it worked excellent". So there you have it! Thank you for sharing this! So glad he approved. My hubby won't use it (yet.) He has his brand that he likes. If it's like soap, after some time it will make him itch, and he will walk around scratching like a monkey & will ask me to make some for him with a man scent:) It's kinda funny because just about every thing else, he prefers natural. A note of caution: the pH level in baking soda is 8.3 making it slightly alkaline. This can cause skin irritation. 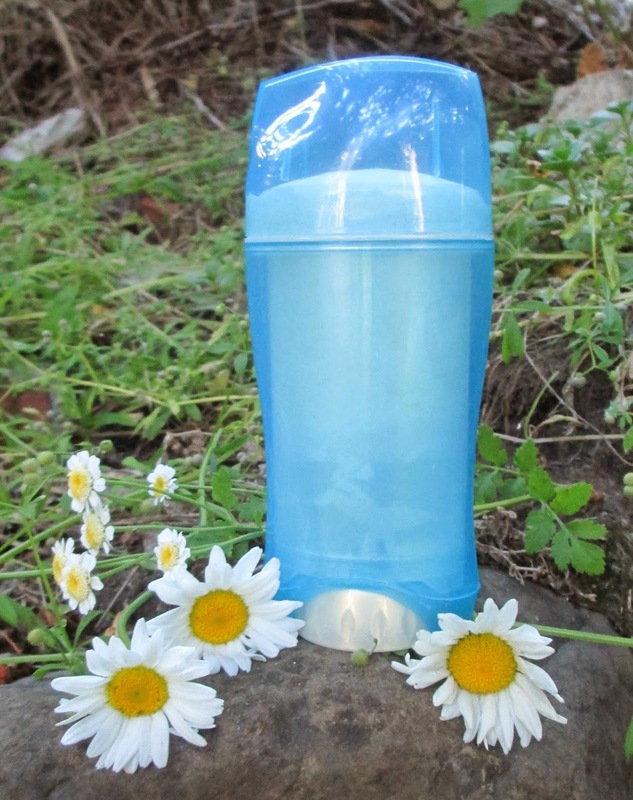 Seehttp://www.lisaliseblog.com/2012/03/no-sweat-about-baking-soda-deodorant.html for more explanation. Thank you for this ~ I love this kind of info. Obviously don't want folks to have "issues" with its use.